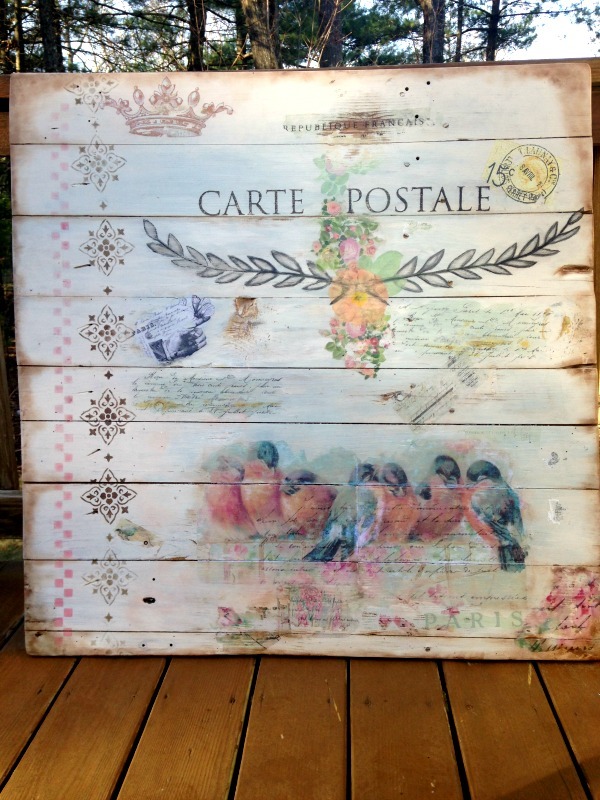 Today’s reader tutorial was submitted by Joy Sheasby, who shared her gorgeous Upcycled Barn Door. Lets see how she did it! 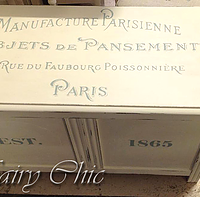 Milk paint in snow white mixed with Tavern Green from The Old Fashioned Milk Paint Company in Groton, MA. 1. Paint your old barn door with milk paint. Using 80 grit sandpaper, begin to distress edges. 2. 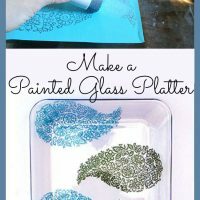 Transfer your images using the Mod Podge method. 3. Using 220 grit sandpaper, distress around the images. 4. Spray with Krylon Crystal Clear to seal. How gorgeous is this barn door?! Thank you so much, Joy, for submitting this project! To learn how to transfer images yourself, visit the Transfer Methods Page. Such a lovely, lovely project. I’ll be looking for a barn door now. What are the dimensions of the door? It’s lovely! Thank you! The barn door measures 5 feet by 5 feet. I was originally going to use it as a table top but I couldn’t find a base that I liked. So, now it’s hanging outside on the wall of our garage that is facing our deck. This is beautiful. What a nice job. I have a few barn doors that would love to look like this!! Ha ha Terri 🙂 Thanks so much! It is always best to practice…several times, on a scrap piece of wood before working on your actual project. Practice makes perfect 🙂 Good luck!